The Cepher is the most advanced, yet the most correct to antiquity, of any collection of Biblical material available today. If a Disciple of the history of what has been considered “Bible” from 1450 BCE through the Common Era of the First Century were to compile a collection of what they would call Bible, it would include the Cepher. As a disciple and teacher of the Bible, I believe it to have been one of the greatest services to be inclusive of the writings that have shaped the faith of true believers for more than 2400 years - without the exclusions of books and proper Names that have been slanted by Councils, self-serving individuals and Societies for hundreds of years. 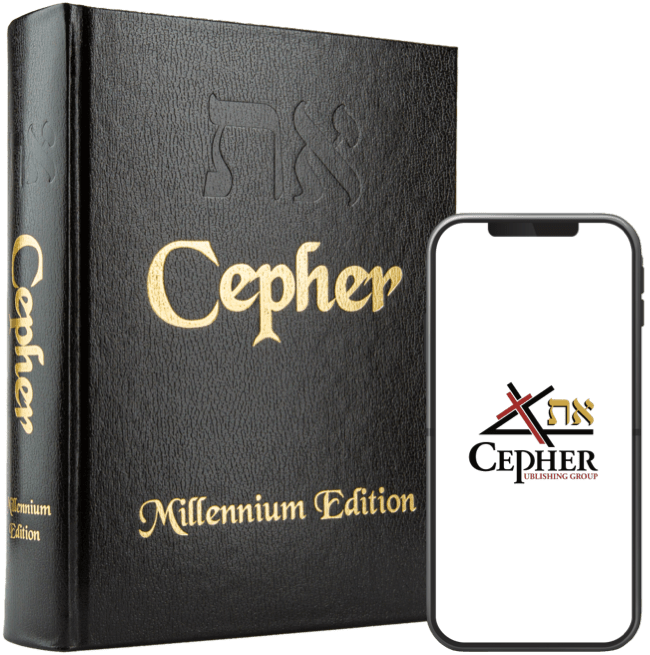 The Cepher is one of the greatest examples of the true history of the Bible without censure available today, and has been very helpful to me personally as a Bible Symposium Speaker, Bible Teacher and Pastor. With a personal history of studying, translating and preserving fragments and writings of our Biblical past, both as an Associate and Assistant Curator of The Bible Museum and in academic studies in the Philosophies of Comparative Biblical Archaeology, I have desired to assemble a book such as the Cepher that included the Tanach or Jewish Bible, the Antediluvian Writings and HaYashar, the Second Temple Letters and Writings, and the Gospels, Letters and Writings of the First Century Messianic Era -including all of the material canonized and/or recognized by such ancient cultures as the Ethiopic Church, Eastern Orthodox Church and the Ancient Messianic Fellowship of Jerusalem and Ha Galil. The scholarship and literary inclusion found in the Cepher is, to my knowledge, the best available in one volume to the Disciple today. I personally recommend the Cepher for study to show oneself approved, properly dividing the Word of Truth. F. Andy Tryon, Jr., Ph.D., Th.D. The Cepher, from my understanding of manuscripts and translations, is an almost near perfect compilation of sacred Scripture. I am amazed at its fidelity and accuracy, along with the inclusion of Enoch, etc. After my personal research as a pastor of 42 years, I am totally convinced that the Creator’s Name is Yahuah, and His Son’s Name is Yahusha (exactly as your Cepher restores their names). After all these years of searching, I finally found the Scriptures that resonate with reality – it is the Cepher! You have truly and honorably produced a book that is unlike any other on earth. Thank you for your labor of love, which in my spirit, I know that it is. I pray that many will be able to purchase one and recommend it widely. I am truly speechless when I consider the treasure that this book is to the body of HAMASHIACH. I am commending you on your beautiful job regarding the putting together of this wonderful collection. It is so nice to have Yasher and Enoch together along with the other writings never found in most collections of scripture. I am a member of a Netzarim Congregation, (but) was born and raised in the synagogue and had my Bar Mitzvah there. I’ve read many commentaries of the sages and must say the read on this collection of yours is the best I’ve seen so far. I just received my Cepher today! I am thrilled. My sister was with me when I opened the box. She opened it and it opened to Tephillah Azaryahu. She began reading and tears came to our eyes. "Why was this taken out of our Bible?" was her tearful question. I am ordering one for her and some for others whom I want to bless. Thank you so much for the time, effort and money you have put into this great effort! I just wanted to THANK YOU! Since I purchased my Cepher nearly two years ago, I've proclaimed to EVERYONE that it's the BEST INVESTMENT I EVER made in MY LIFE!!! Words can't express how the Divine Book has assisted in the pouring of Understanding. I've researched many manuscripts and NOTHING comes close to the Authentication of the Cepher. Even the blogs I often share. The breakdowns are powerful and EXTREMELY Edifying! May YAHUAH continue to Barak Ahtha! About 6 years ago I was having a debate with a few of my friends about how not all of the books that should be a part of the Holy Scriptures are included together for us to study in one volume. My point was that someone or some group of people at some point in time was going to have to gather the resources to put together the Holy Scriptures as they should be. I remember actually telling my friends in those exact words “someone or some group of people”. Well, I just wanted to say that I’m so pleased and honored to have come into contact with this group of people. I wish I could personally shake the hand of everyone there and thank them for this most necessary contribution to the Word of our heavenly Father – especially at this point in time in the world when I think we need this more than ever. I've been so humbled by this book...this Cepher. It's hard to imagine the time and commitment it took to put this all together. I've learned much and rethought much. God will continue to bless this work and those who are wise enough to read it. I am so excited to receive this updated translation. A little over a year ago I was in prayer asking “what is Your Name” because I was hearing so many versions . . . Yeshua, Yahushua, Jesus. Well, the name I heard was . . . Yahusha! Around the same time, my husband found a study online showing His true name is Yahusha. I was so excited to have extra confirmation. This Cepher will be an excellent tool to share the name of our Lord and Savior Yahusha and our Heavenly Father Yahuah. I just want to make mention of how much I am enjoying this Bible. It is a comfort and a delight for me, I am in my 70''s and I tell everyone about it. If people only knew about it, they would order one! What you have made available here is a true blessing to believers. Due to its content, it is truly the most valuable item I have. I treasure this above all else and am most appreciative for your work providing us with this beautiful gift the world needs to have. When I think of the work that went into this, I am astounded it does not cost many times over the price. Thank you one and all who put this together, it is a work of love and it shows. I believe if people realized just what it is, they would run to get their own. I am enjoying this book all day every day. Thank you so much for the Cepher. It''s tailor made to all my needs in a restored name bible and it includes all the writings I've longed to have present in one collection. Its as if Yah truly wanted me to have this scripture and downloaded it from heaven in this hour to you as a testimony to his Truth. We are very excited to have found this translation. Our home assembly has had the pleasure of finding and using the correct name of Yahuah as well as following the Torah and discovering a new and satisfying relationship with Him. Thank you for your dedication that went into putting these together. Please let us know of any other things that may help us in our journey. Of the more than fifty Bibles in my study and many translations, I value the Cepher as the most complete of my collection of Bibles. I bought my wife the Cepher scriptures for Hanukkah, she was thrilled! Excellent restoration of scripture. A must have! All I can say is this is the best Book ever. I had so many questions that were answered, little things that bothered me. For example, why was Cain's offering rejected by God? I was told by the church that it showed that God had personal tastes. Not so. It tells you that Cain offered God the inferior fruits of his labors. This sounds more like the just God I know and Love! Another one ... why would God demand for all men, women and children to be killed? Isn't he a loving God? It tells you that certain peoples were actually the offspring of the fallen angels - Wow! We have been given only part of the truth, which has left much for man's interpretation. Now I have all the pieces, I have the full knowledge and truth, and I stand in awe of our GREAT and Mighty CREATOR. I am very pleased with my purchase of the CEPHER scriptures. Having all the books of the Bible, plus the apocrypha and other wisdom books in one place is very convenient. The added books, such as Enoch and Jubilees, for example, while not part of the [currently] approved canon of scripture, are a source of knowledge that supplements and enhances our understanding of the inspired books of the Bible. A great purchase for Christians who want to dig deeper into the scriptures! I finally got to meet Enoch. Thank you. Others as well I am being introduced to, like Judith. Your Cepher has drawn me in to know and seek more of our wonderful God. The Cepher sacred name scriptures is different from other sacred name versions. One very important difference is the Aleph-Tav is restored to His rightful place throughout the scriptures. We know the Aleph-Tav as Yahshua himself. This work is a must have for anyone who considers themselves a seeker of YHWH and His Truth. Highly recommended! I got my book! I was so excited when it arrived, I couldn’t open it … LOL. My husband had to open it for me. It’s just amazing!!! Wow, you all did a lot of work putting all of these books together in order. Now, I don’t have to search through different books. Praise God for your hard work. This is going to be a number one seller. My Cepher just came and I just LOVE it!! I can’t wait to dig in! What a blessing! If anyone is in doubt of this Bible, it is amazing! I highly recommend it! I have been blessed with many Torahs (all the books comprising The Book), but none compares with The Cepher. What a quality Work of The Ruach HaKodesh. Thank You Lord Yeshuah, Yehuah Tsevaot. Oh my goodness Abba is sooo good! I went to (town) earlier this afternoon to purchase an Old Greek and Hebrew translated bible, the Original texts, but the only one they had was very little print and I’m getting older, LOL! He said this isn’t the one, so I left a bit disappointed because I really insisted on getting one but remained obedient. Yours is the one He wants me to purchase! I’m a fixing to purchase it, it is exactly what I have been looking for! I am in shock seriously. I just felt like Abraham and He gave me something better for it! Wow! This had made my day! To Elohim be the Glory! Yippee!! I received the CEPHER today!! I was impressed with how beautiful this book looks. I love the space that’s between the lines! Even with glasses when I read, I go back to the previous line I’ve just read. This is my first time reading Jubilees. It gives such awesome information! This helps to fill in some of the blanks and questions that I’ve wondered over the years. And the BEST part about the CEPHER is the read is sooo easy to understand! I always try to remember to pray before I begin reading for the Holy Spirit to give me wisdom to comprehend what I’m reading and for the words to come alive in my mind. Well, I have to say … I believe this CEPHER is the easiest version of God’s Holy Word. I have read through 7 versions and, so far, this is the easiest to understand. Wow!!! I have gotten through Jubilees, Enoch and almost through Jasher and haven't been so excited to wake up and dig into my Bible since I first came to know the Savior 38 years ago! It has opened my eyes as to HOW and WHY some of the familiar stories happened. It is totally glorifying to the One and Only YHWH. I am SO glad I got it. 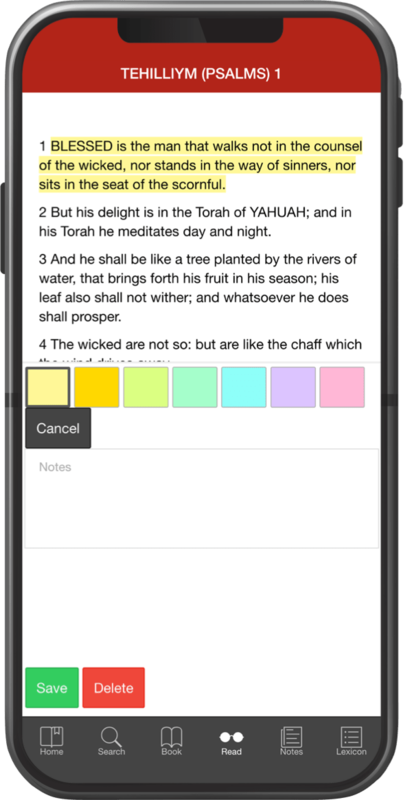 Omitted in other translations, the את has been restored 9,837 times.